I told you earlier that one of my goals this year was to do a bit more quilting. It’s been kind of a full-circle thing, because baby blankets and quilts were some of the first things I started sewing again after my first was born. And it’s been really enjoyable to have a quilting project going that I can pick up and leave in between garment sewing. 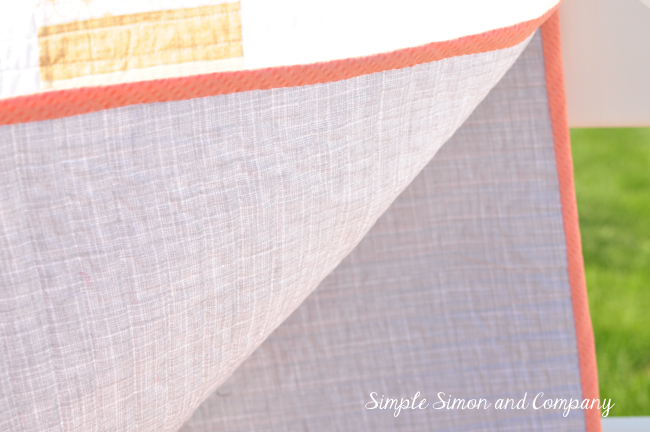 I lined the back with a grey linen-look-alike (it’s a quilting cotton) and I love the coral binding and the gray backing together. The quilting was just horizontal lines that were 1 inch apart, done on my machine with my walking foot. And the finished quilt is 45 inches by 45 inches square, my favorite size to make for a baby. Happy Memorial Day everyone….any fun plans? Hi! I like the way this quilt is not so overly cutesy. 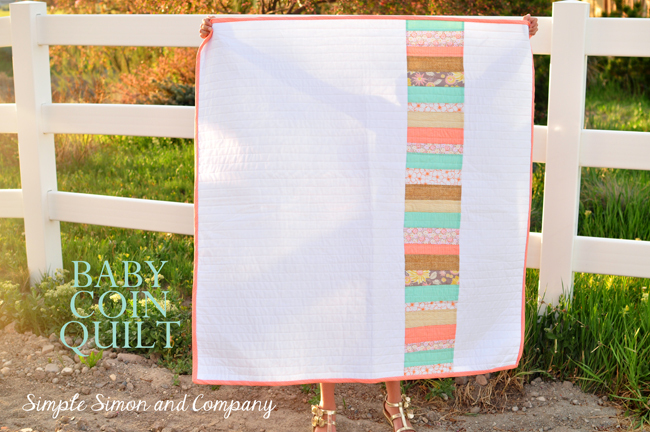 Can you explain why the name “coin” quilt? Just curious! Love the color scheme. 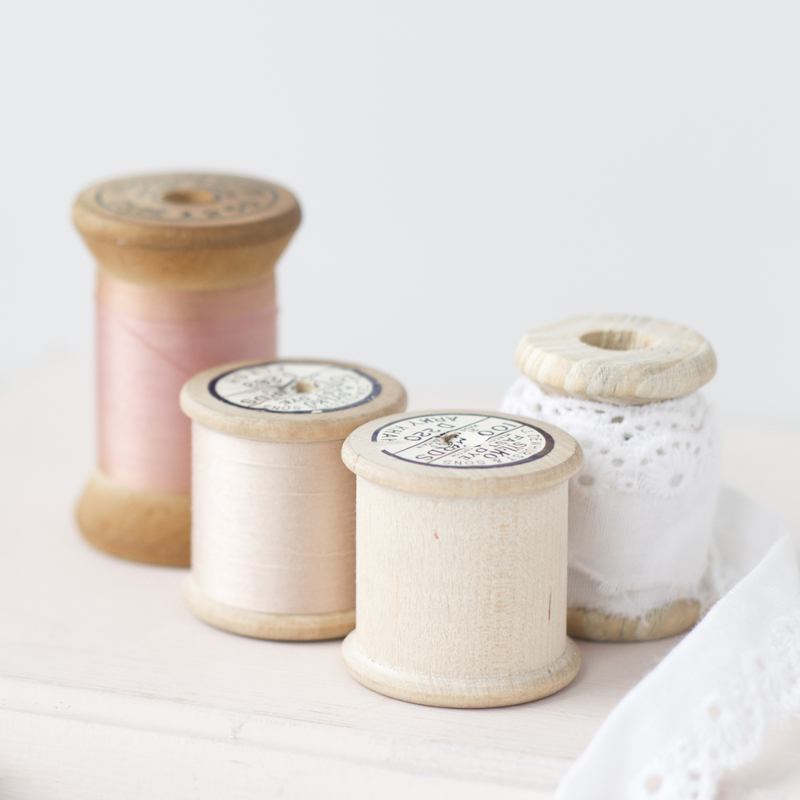 I love the simplicity to the quilting. The colors you chose are divine! Such a beautiful quilt! I love the colors! Beautiful quilt Elizabeth!! I love the gray and coral together as well as all the colors in the coins. Perfect! 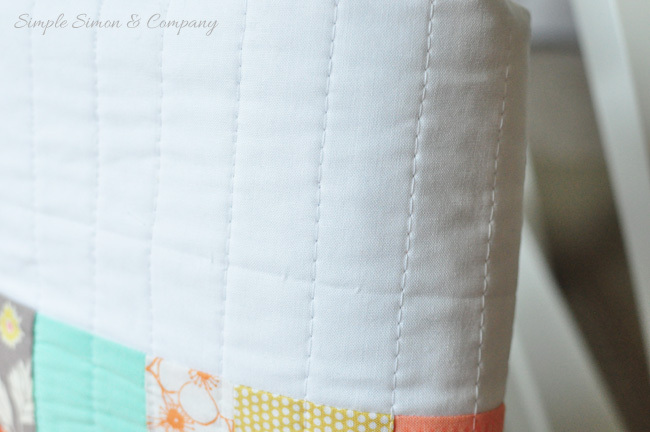 I am not sure where the name came from….if you google “coin quilt” you will find all the same style, fabric “bricks” stacked on top of each other…. Anyone know where the name came from? I posted a question on a forum on the Missouri Star Quilt site so maybe I’ll hear something back from them about it. It’s beautiful! 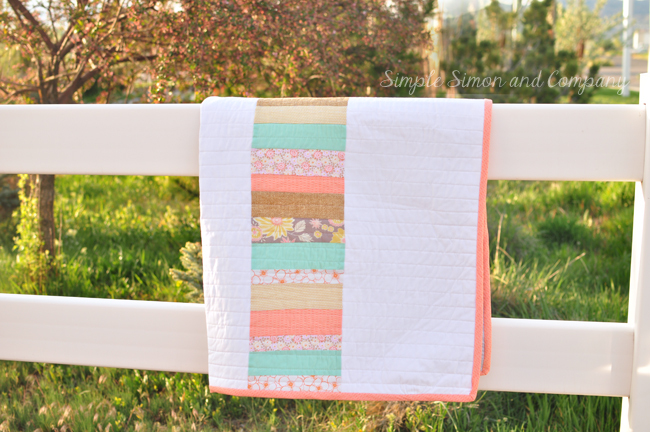 I love simple quilts!! !